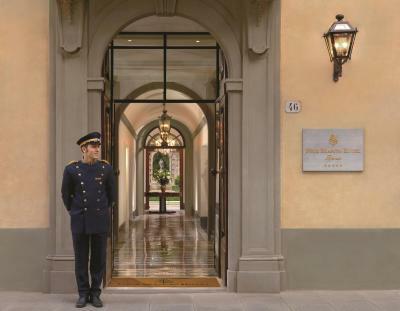 Lock in a great price for Four Seasons Hotel Firenze – rated 9.4 by recent guests! I loved the professionalism and hospitality of the staff. 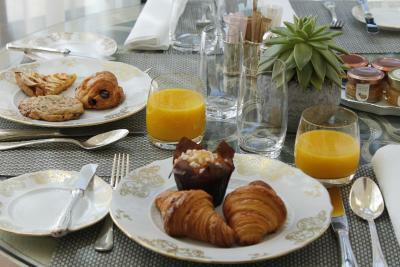 I especially loved the great variety of food presented in the breakfast session. Overall, the experience was excellent and I would most definitely love to visit again. Thank you! The fact that it’s 7 acres of land, there is much to do. The food was amazing! Perfect. The garden is amazing and all the staffs were very warm and helpful. There are simple too many thumb ups here. The restaurants: both main and grill/pizza are top choices in town. The food are fantastic. The rooms are very comfortable and quiet. The decoration of this historical house are beautiful. One can have a tour of a small part of the building by staff. The gardens are large and wonderful. Pool are nice with jacuzzi. 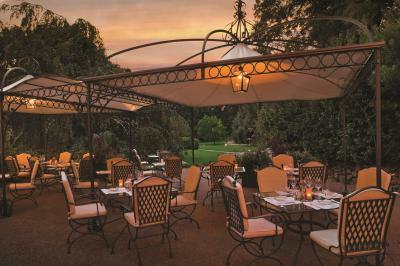 There are few spots for specially evenings like dinning in a small covered space by tree in garden. 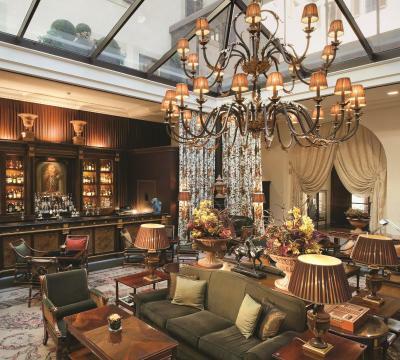 If one wants to go shopping or sit seeing, please don't waste your money to book this hotel. You should focus and stay at this property to enjoy. The son in summer is very hot here, thus a nice garden is a pleaseure to walk in the morning and evening. The pool is a good place to spend in the afternoon. 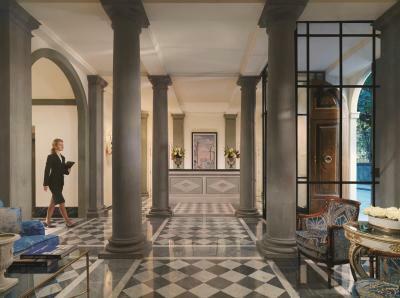 Four Seasons Hotel Firenze This rating is a reflection of how the property compares to the industry standard when it comes to price, facilities and services available. It's based on a self-evaluation by the property. Use this rating to help choose your stay! 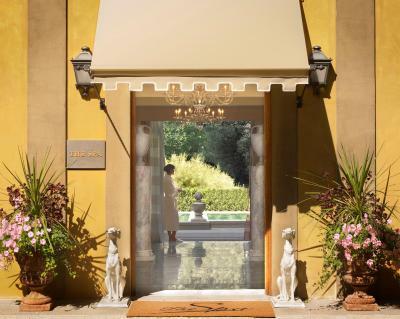 One of our top picks in Florence.Offering a 2-floor spa and Michelin-star restaurant, Four Seasons Hotel Firenze is next to the botanical gardens of Giardino della Gherardesca. 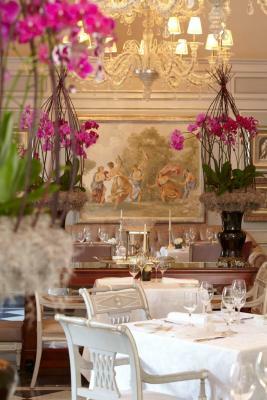 It offers a wide range of luxury rooms and suites. 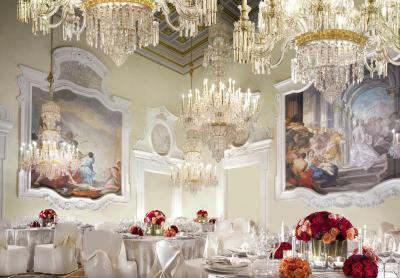 Spacious and bright, the rooms successfully combine Renaissance décor with a wide range of modern facilities. You will have an LCD TV, DVD player, bathrobes and slippers. 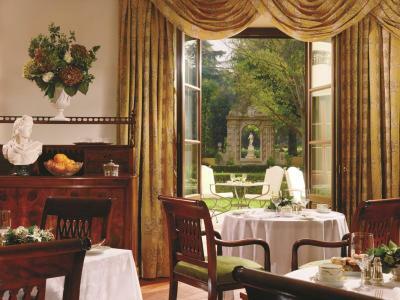 The Four Seasons is composed of 2 buildings, the 15th-century Palazzo della Gherardesca and the ex 16th-century convent, La Villa. 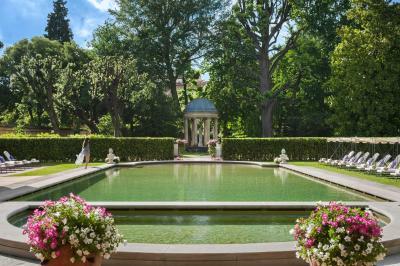 There are 4.5 hectares of beautiful gardens in between them. 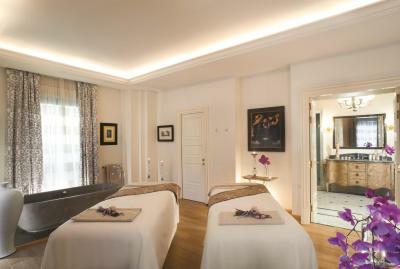 The spa features 9 beauty treatment rooms, a Turkish bath and gym. It opens out onto the upper terrace with pool and hot tub. 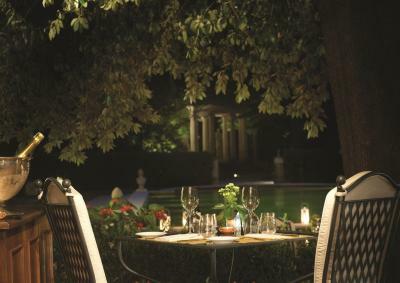 The hotel's main restaurant, Il Palagio, uses local produce to create the finest Tuscan dishes. 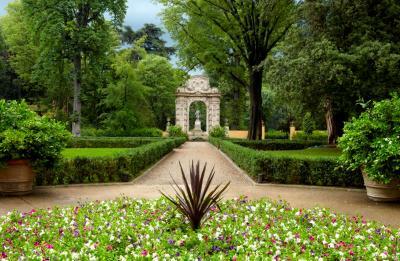 With such a central location, you are 15 minutes' walk from Florence Cathedral and the art galleries, the Uffizi and Accademia. 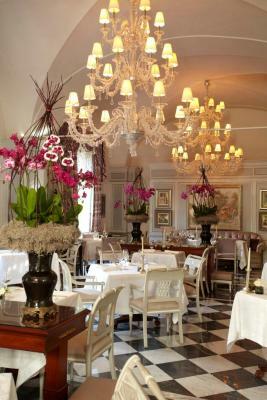 When would you like to stay at Four Seasons Hotel Firenze? 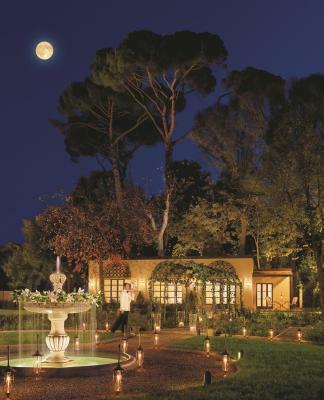 The superior room offers views of the internal courtyard or the streets of Gino Capponi or Borgo Pinti. All rooms are air conditioned and include a flat-screen TV with DVD player and bathrobes and slippers. Please note that this room cannot accommodate extra beds. Only a cot can be accommodate. Private parking is available on site (reservation is not possible) and costs EUR 55 per day. 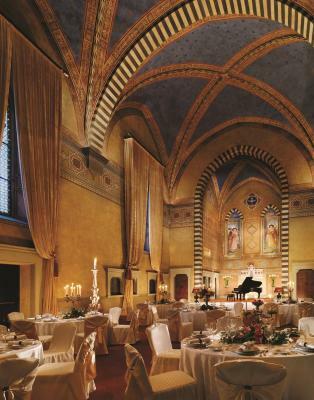 The deluxe room is in the hotel's Convent building or Palazzo della Gherardesca and overlooks the surrounding gardens or neighboring streets. All rooms are air conditioned and include a flat-screen TV with DVD player and bathrobes and slippers. 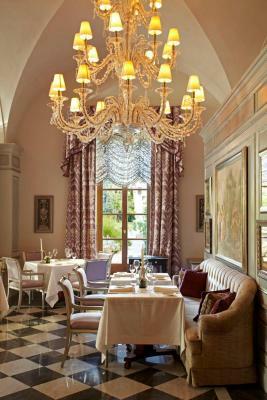 The deluxe room is in the hotel's Convent building or Palazzo della Gherardesca and overlooks the neighboring streets. All rooms are air-conditioned and include a flat-screen TV with DVD player and bathrobes and slippers. 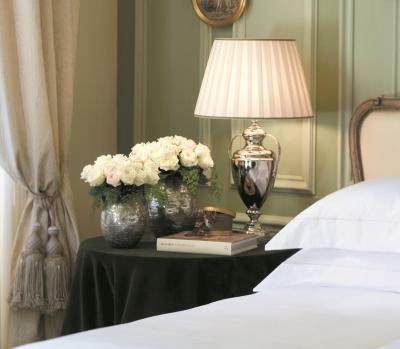 This bright and spacious room combines Renaissance décor with modern amenities. All rooms are air conditioned and include a flat-screen TV with DVD player and bathrobes and slippers. 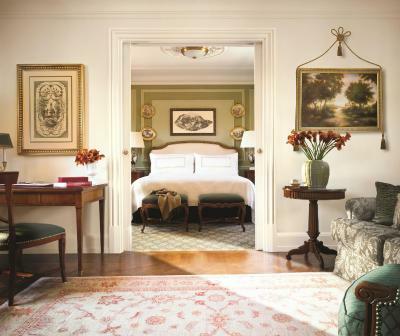 The Four Seasons room offers the best in comfort and views. All rooms are air conditioned and include a flat-screen TV with DVD player and bathrobes and slippers. 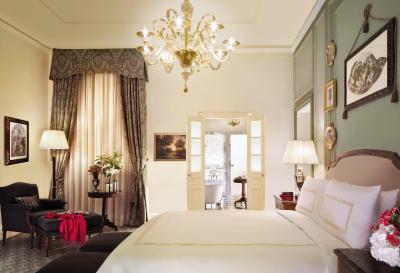 The Four Seasons room offer air conditioning, a include a flat-screen TV with DVD player, and bathrobes and slippers. 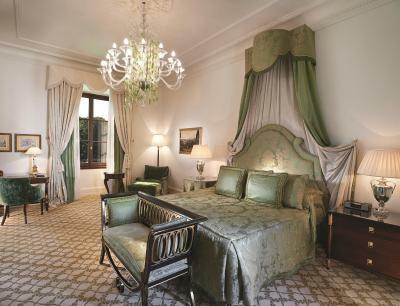 With high ceilings, this suite is elegant and comfortable. A few also have a balcony. All rooms are air conditioned and include a flat-screen TV with DVD player and bathrobes and slippers. 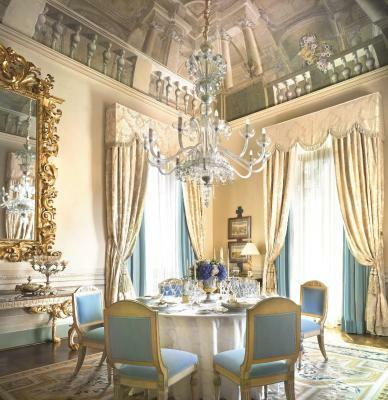 With high ceilings, this suite is elegant and comfortable. Offers air conditioning, a flat-screen TV with DVD player, and bathrobes and slippers. 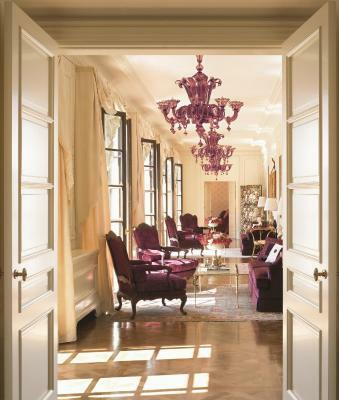 Overlooking the park, the parlor suite is spacious and comfortable with a seating area. Some are open plan, others have separate bedrooms. All rooms are air conditioned and include a flat-screen TV with DVD player and bathrobes and slippers. 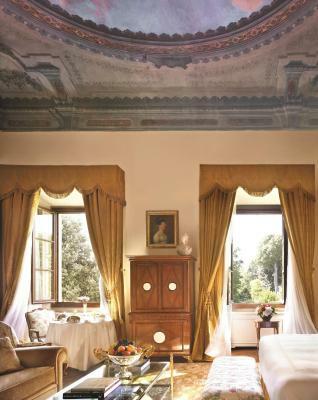 Offering a separate bedroom and living room, this suite is located in the hotel's Convent building or Palazzo della Gherardesca. It offers views of the park or of the internal courtyard. 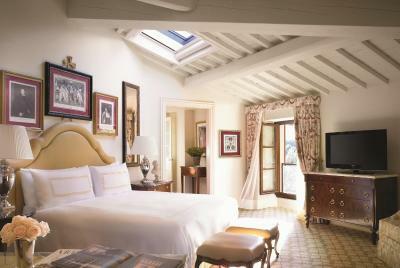 The gallery suite preserves the building's original features such as wood-beamed ceilings and frescoes in the bedroom. 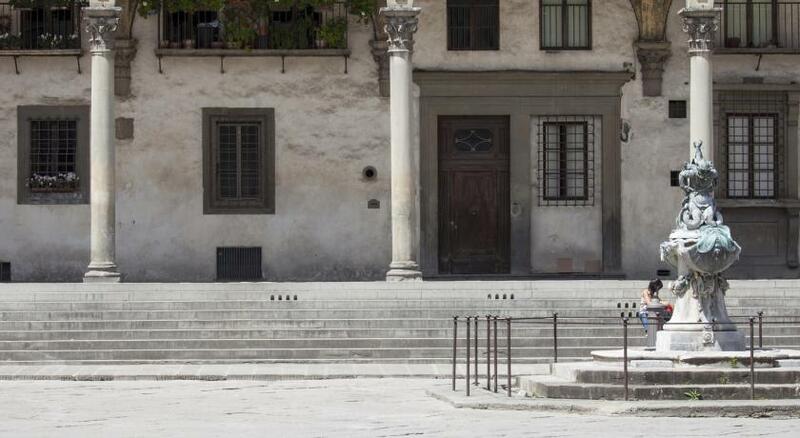 They are in Palazzo della Gherardesca and have views of Via Borgo Pinti or Giardino del Borgo. 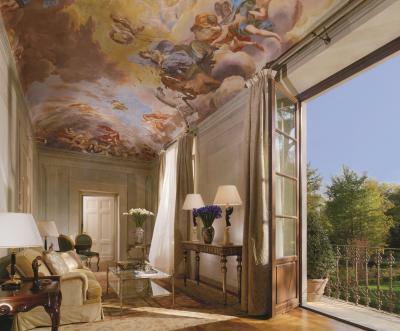 With beautiful views of Giardino del Borgo, this suite is set on the third floor of Palazzo della Gherardesca. 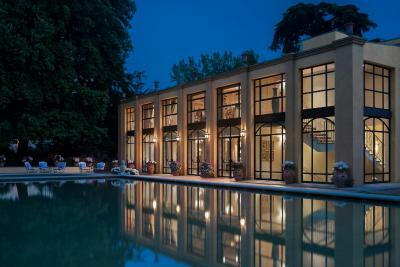 It has a separate bedroom and living room and a luxury marble bathroom with bathtub and rain shower. 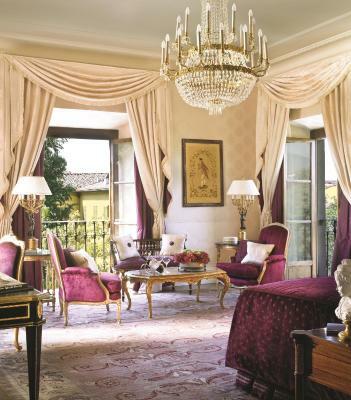 Set on 2 levels, this luxurious suite offers stunning views of Florence Cathedral, the park and the city's rooftops. It includes one bedroom and 2 livings rooms, one on each level. There are 2 marble bathrooms that include a deep bath and rain shower. This suite features a soundproofing, CD player and seating area. 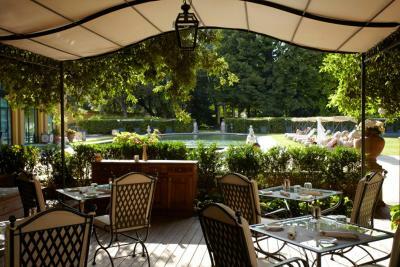 It offers views over the Giardino del Borgo garden. 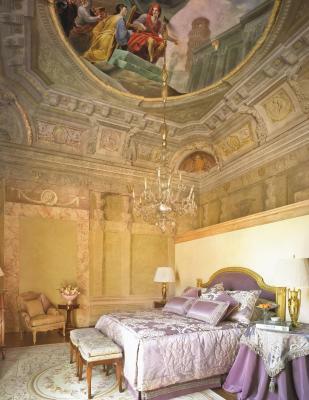 The frescoed vaulted ceiling in the bedroom and the breathtaking paneled and gold decorated ceiling in the separate living room give this Suite an authentic Renaissance feeling. 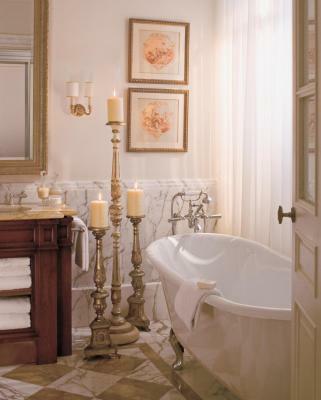 The en suite marble bathroom has a double lavish vanity, walk-in shower, and a bathtub. 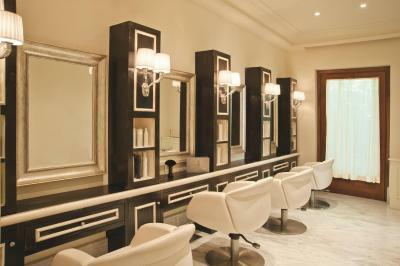 A separate powder room is adjacent to the living room next to the entrance. This suite features air conditioning, iPod dock and CD player. 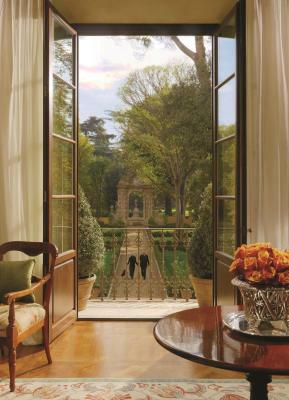 Set in the heart of the park and surrounded by secular trees, this suite has floor-to-ceiling windows overlooking its private garden with swimming pool and offering a luminous and airy space. The ceiling of the bedroom and living room are decorated with wooden beams and the en suite marble bathroom includes a lavish vanity, walk-in shower. 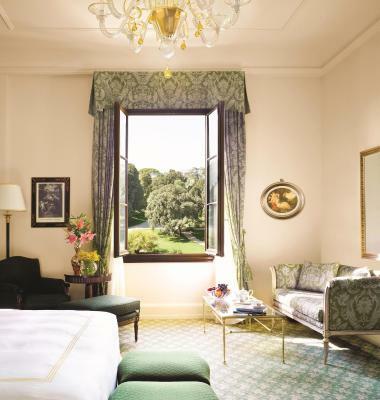 Featuring views of the botanical garden from its large windows, and a small terrace, this suite has a spacious separate living area, a marble bathroom and an additional toilet. Amenities include Bluetooth speakers, bathrobes, a flat-screen TV, and air conditioning. This suite features a mini-bar, DVD player and iPod dock. 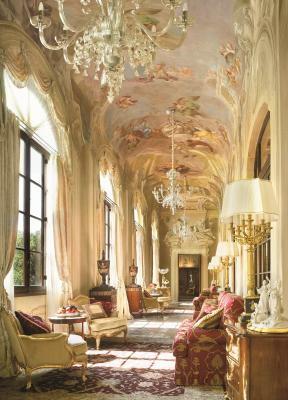 Located in Palazzo Della Gherardesca, it has art on vaulted ceilings, beautiful frescoes and stuccos in the Capodimonte Maioliche- style, and ceramic floors by Ignazio Chiaiese. An additional separate living room offers a more intimate space. 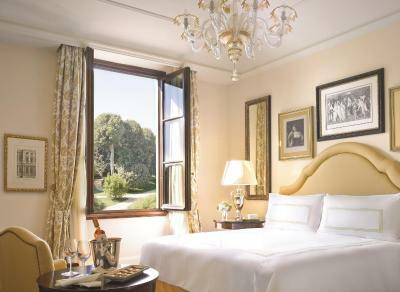 It leads to a rich marble bathroom and to the King bedroom, which has views of the park. 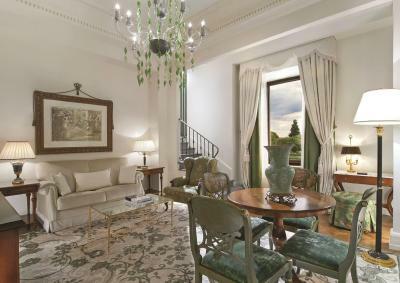 Featuring original frescoes and coffered ceilings, this elegant suite includes views of the park or gardens. 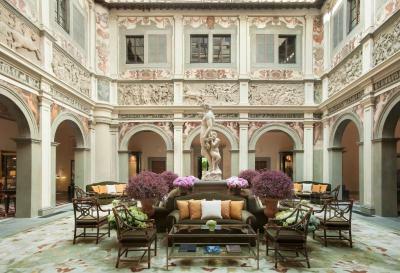 The Four Seasons Hotel Firenze features two Renaissance buildings: the “Palazzo della Gherardesca” of the 15th century and “La Villa” of the 16th century. 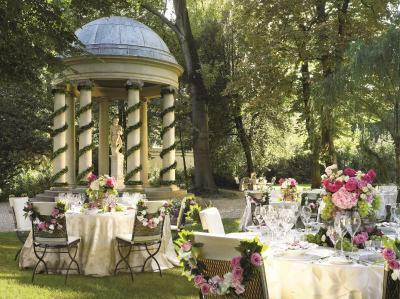 As an urban resort nested in the bustling city center of Florence, it stands just a few steps away from the city’s main historical attractions and it is set within the walled tranquillity of Florence’s largest private garden. 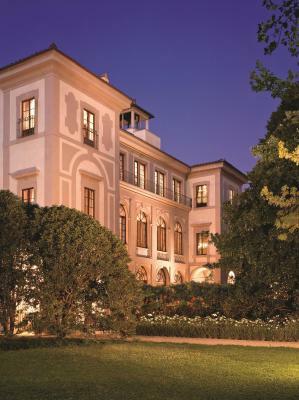 The property is considered a living and contemporary museum with magnificent pieces of artwork and unique designs. 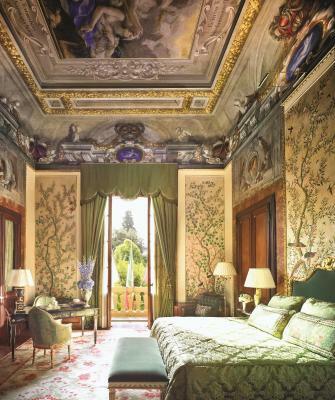 Frescoes, bas-reliefs, stuccoes and silk wallpapers have been carefully restored to reveal vivid detail dating back over five centuries. 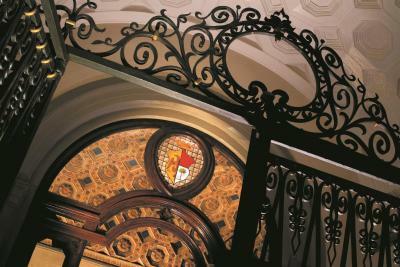 Original works of art and architectural detailing can also be found in several of the Hotel’s 116 rooms, suites and hallways. 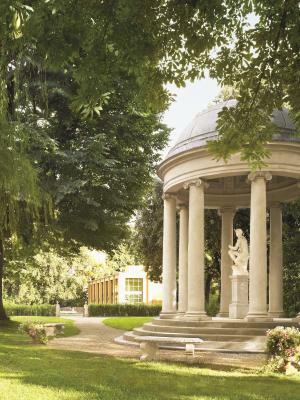 Hotel surroundings – This neighborhood is a great choice for travelers interested in cathedrals, museums and monuments – Check location Excellent location – show map Guests loved walking around the neighborhood! 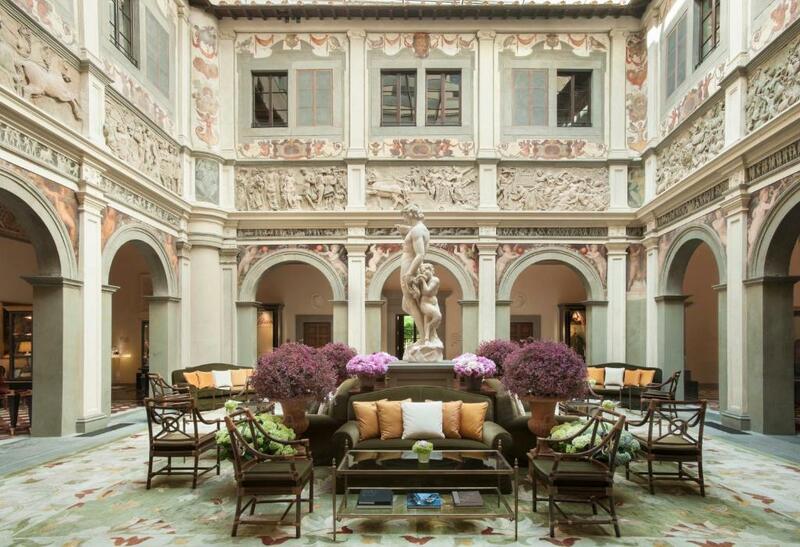 House Rules Four Seasons Hotel Firenze takes special requests – add in the next step! 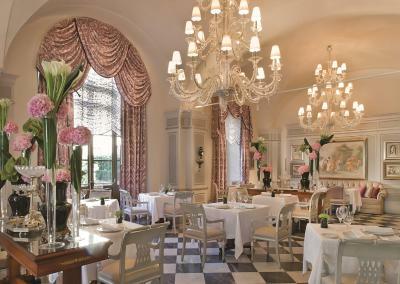 Four Seasons Hotel Firenze accepts these cards and reserves the right to temporarily hold an amount prior to arrival.